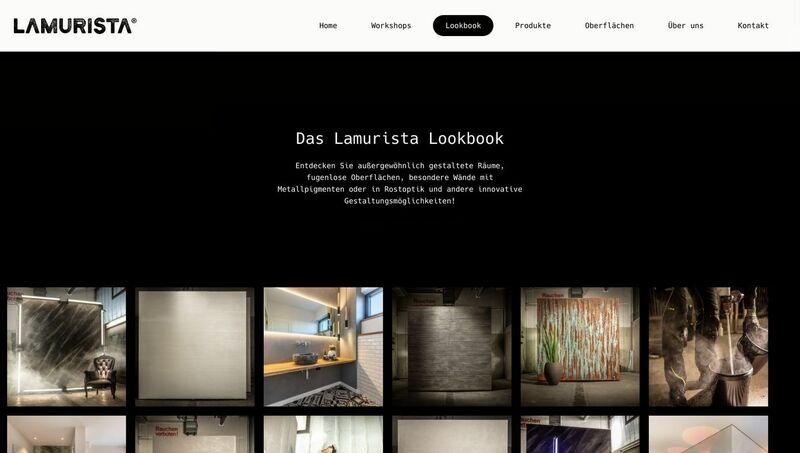 The new homepage of Lamurista GmbH was developed in cooperation with Seitenwind GmbH. 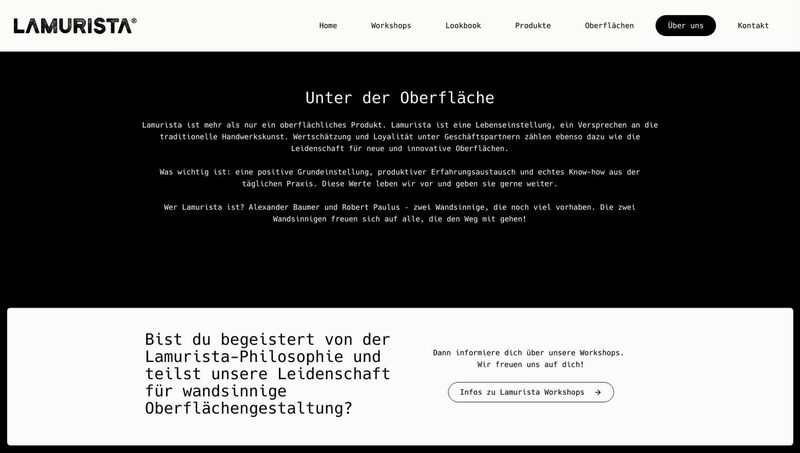 Thanks to our TYPO3-based Website-Base, the outstanding design could be realized in no time as a full-fledged website. Lamurista is more than a superficial product. Lamurista is a way of life, a promise of traditional craftsmanship. Appreciation and loyalty among business partners are just as important as the passion for new and innovative surfaces. What is important: a positive basic attitude, productive exchange of experience and real know-how from daily practice. We live these values and gladly pass them on. Who is Lamurista? Alexander Baumer and Robert Paulus – two wall-crazy men who still have much to strive for. The two wall-crazies are looking forward to all who walk along!